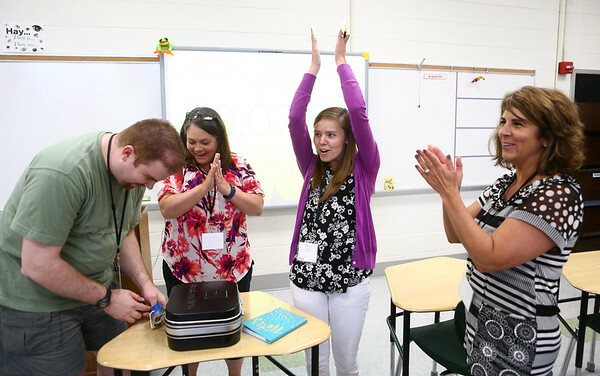 From left: Dustin Kotur, Crystal Hunt, Emma Albert, and Shari DeLong cheer after unlocking one of the locks on the Breakout EDU box. Breakout EDU was one of the workshops at the ELearning conference on Wednesday, June 14, 2017. Teachers worked together and used critical thinking to solve a series of challenging puzzles in order to open the locked box.